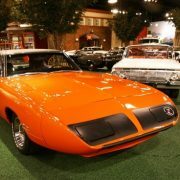 Developed specifically for NASCAR racing, the Superbird, a modified Plymouth Roadrunner, and the Charger Daytona, a modified Dodge Charger 500, were among the first American cars to be designed aerodynamically using a wind tunnel and computer analysis. 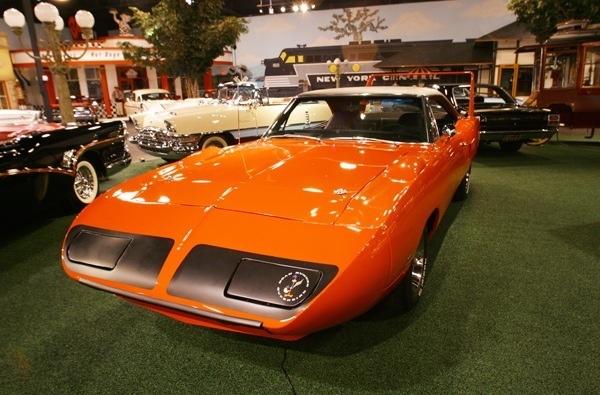 The Superbird’s smoothed-out body and nosecone with retractable headlights added nineteen inches to the Road Runner’s original length. 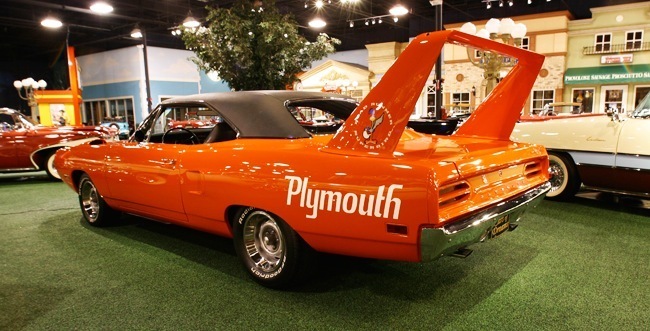 A rear wing (spoiler) was mounted on tall tail-fins that put it into less disturbed air thus reducing the car’s lightness by keeping the rear tires firmly on the ground at high speeds. The extreme height of these fins also gave clearance for the trunklid to open freely. 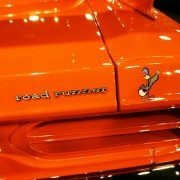 The rear-facing fender scoops were used for releasing trapped air from the wheel wells. 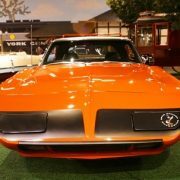 However, NASCAR’s homologation requirement demanded that vehicles to be raced have to be available to the general public and sold in sufficient numbers. 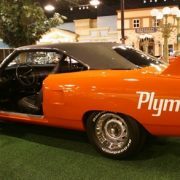 In 1970, NASCAR raised the production requirement from 500 examples to one for every 2 Manufacturer’s dealers in the United States; for Plymouth, that meant having to build 1,920 Superbirds. 1970 would be its only production year. 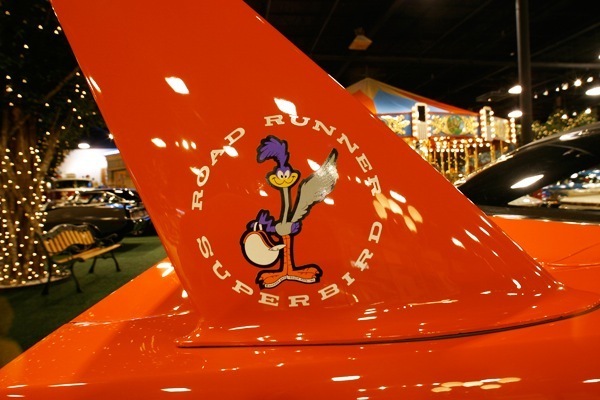 “Superbird” decals were placed on the outsides of the spoilers’ vertical fins featuring a picture of the Road Runner cartoon character holding a racing helmet. 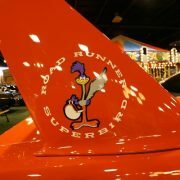 A smaller version of the decal appears on the driver side headlight door. 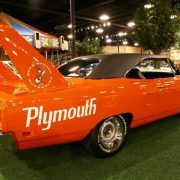 Depending on your preference the Superbirds came fitted with the 426 Hemi engine, 440 Super Commando with a single 4-barrel carburetor, the 440 Super Commando Six Barrel with three two-barrel carburetors.Only 135 models were fitted with the great 426 Hemi. 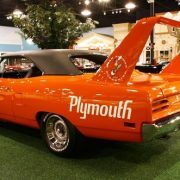 As the 440 was less expensive to produce, the 426 Hemi engine was homologated by producing a minimal number that was optioned in several different Chrysler, Dodge, and Plymouth vehicles. 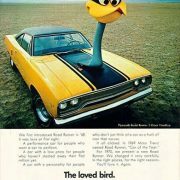 On the street, the nosecone and wing made quite an impression, but the aerodynamic improvements hardly made a difference there or on the drag strip. 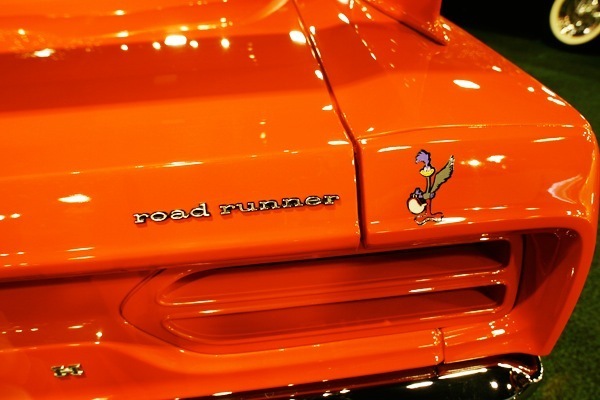 In fact, the 1970 Road Runner was a slight touch quicker down the quarter mile. At 90 mph or greater, though, things were quite different. 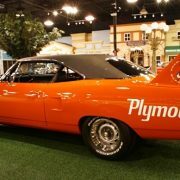 In Autumn 1968, Richard Petty left the Plymouth NASCAR Racing Team for Ford’s. Charlie Gray, director of the Ford stock car program felt that hiring Petty would send the message that “money rules all”. 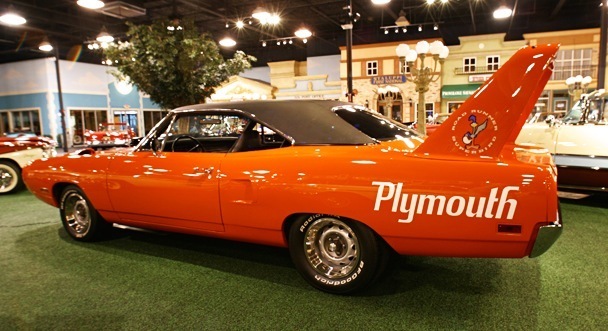 However, the Superbird lured Petty back to Plymouth for the 1970 season. 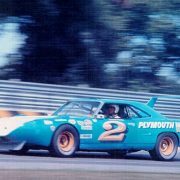 Petty did reasonably well against strong Ford opposition on the NASCAR tracks that year, winning eight races and placing well in many more. 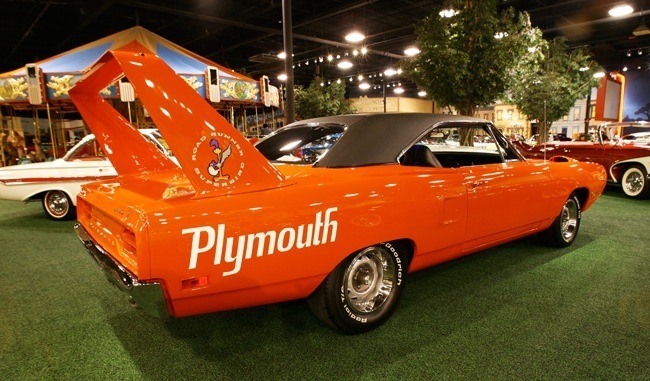 A recent tribute Petty’s Superbird was seen in the 2006 film Cars with Petty voicing “The King”, a stock race car bearing a strong resemblance to a Superbird. 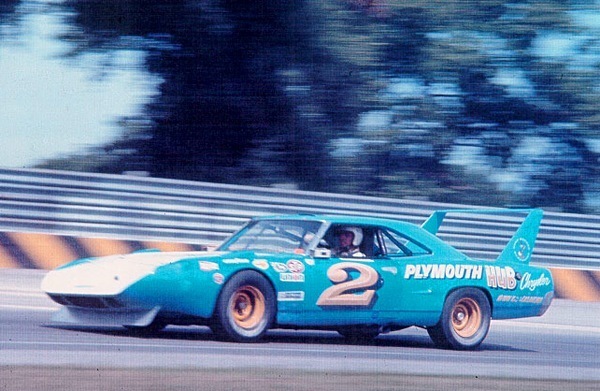 NASCAR’s rules implemented for the 1971 season limited the “aero-cars” to an engine displacement of no greater than 305 cubic inch (5.0 L) or they had to carry much more weight compared to their competitors. 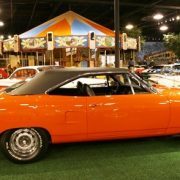 While they were still legal to race, the power-to-weight consequences that would come with the smaller engine or the increased weight rendered the cars uncompetitive. This was the start of a trend of rules slowing down NASCAR, because the races were exceeding the technology of tires and safety over 200 mph. 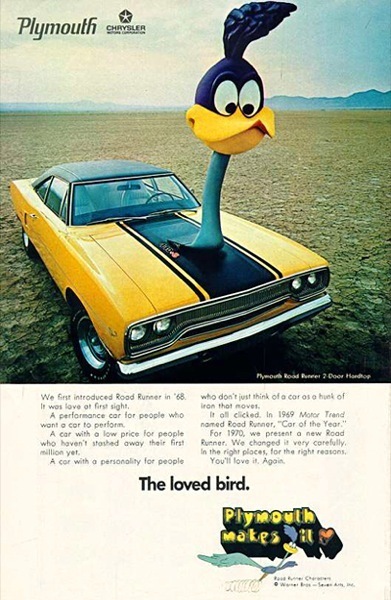 Ford in response also designed a 1970 Torino with a 240Z-like nose, but it was abandoned. 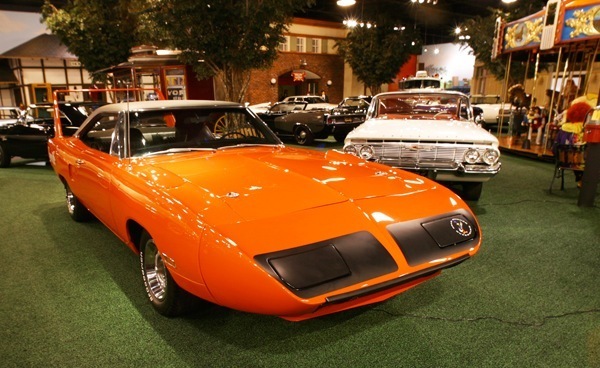 A 1971 Superbird was designed around the new Sebring body PE-YAA complete with its famous nose and wing but never raced; only a few prototypes now exist.The Superbird and the Dodge Charger Daytona were each built for 1 model year only (1970 and 1969 respectively). 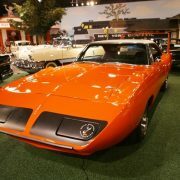 Appearing at the peak of the muscle car era, it is certainly one of the rarest and most desirable of muscle cars.